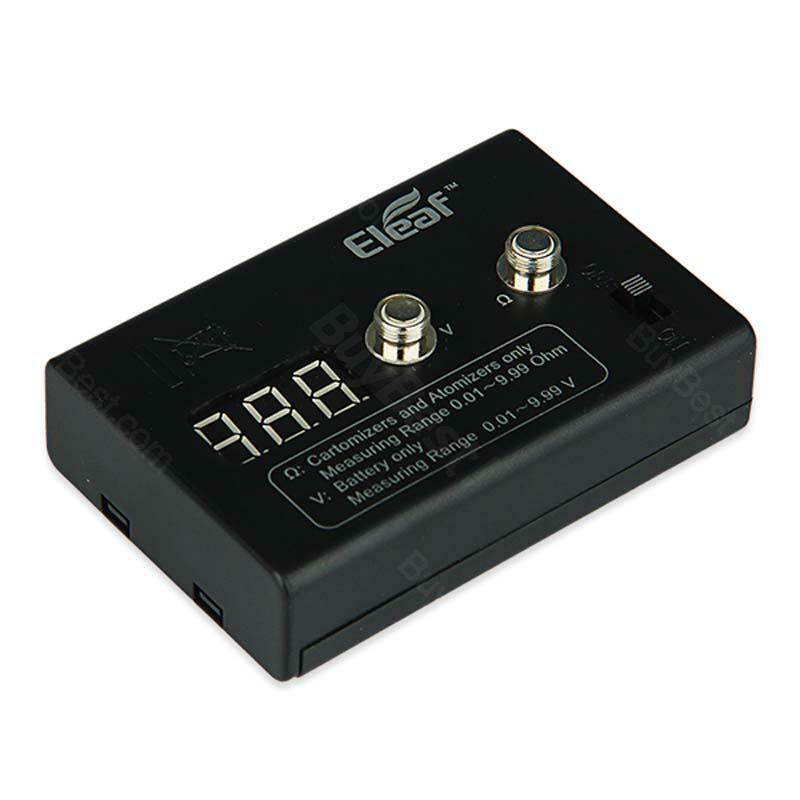 Eleaf LED Digital Ohmmeter and Voltmeter is designed for testing resistance and voltage of e-cigarette products. With small size, it allows you to test resistance and voltage at any time and place even for the most basic e-cigarette user. Eleaf LED Digital Ohmmeter and Voltmeter is 100% original product from eleaf. It is designed for testing resistance and voltage of e-cigarette products. With small size, it allows you to test resistance and voltage at any time and place even for the most basic e-cigarette user. • It comes with 510 threaded, compatible with 510/eGo batteries, and 510 threaded atomizers after using connector in the packet. • If you're testing voltage of some non-cylinder batteries or eGo Atomizers, 510-eGo adapter is needed. • No AA batteries included and two are needed. You need to purchase them separately. A useful thing if you are going for more perfection. Works with 2 AA batteries, which are not included. 7 x 5 x 1,5 cm sized. It was packed well, and arrived really fast, in 10 days it was in my hands, arrived to Hungary! BUYBEST.COM is the best choice! If you are thinking of trying this cotton out, I recommend you stop thinking and get this ASAP! It’s cheap, and elite cotton. The best! I think it’s better than Kendo Gold and way cheaper too! Very satisfied customer! I never leave reviews unless it’s very worth it, thank you!